On 22 May 1973 Robert M. Metcalfe, working at Xerox's Palo Alto Research Center (PARC), presented for the first time a schematic of Ethernet, and coined the term. The first date the system actually functioned was 11 November 1973. 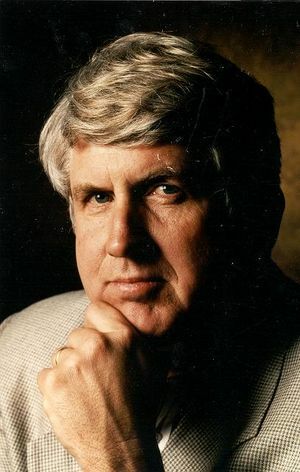 Ethernet, the global standard for networking the world’s personal computers, had its origins in the research of Robert Metcalfe. Metcalfe, hired as a post-doctoral researcher on Xerox’s efforts to build an early personal computer, was tasked with finding a way to link a bank of computers with a laser printer and the Internet, then known as ARPANET. Ethernet was the solution. Metcalfe came to Xerox from Harvard University, where he was completing a dissertation on his research on packet switching on ARPANET and ALOHANET. Although he was a doctoral candidate at Harvard, he performed much of this work at MIT. Xerox PARC was building one of the first personal computers, called the Alto, which had the attributes of a modern PC, including a mouse, keyboard, removable media, storage, and a bitmap display. Metcalfe’s research into packet switching gave him insight into how to build a network that was fast and could distribute information, rather than keeping it centralized. He developed a card that would plug into each computer and link up to a network of personal computers and to ARPANET. On 22 May, 1973, Metcalfe wrote a memorandum in which he named this network the Ethernet and described its method of operation. He distinguished it from ALOHANET, a networking system based on radio modems developed by University of Hawaii computer scientist Norm Abramson, by using coaxial cables as the means of connecting the computers. Coaxial cables provided much faster connection speeds than radio. ALOHANET ran at 4800 or 9600 bits per second, while Ethernet could easily run at 2.94 megabits per second. Another advantage of coaxial cable was that users could join or exit the network without having to shut off the entire system. “David Boggs and I were working on this, and David Liddle down the hall reminded us that there was thing called a cable television tap, which allows one to tap into a coax without cutting it,” Metcalfe said. This flexibility shaped the design of the network. In the May 22 memorandum, Metcalfe proposed laying out a coaxial cable in the middle of the hall. Each computer would have its own cable that tapped into this common Ethernet cable. Metcalfe and Boggs then designed the first high-speed network interface card and a 100-node Ethernet running at 2.94 megabits per second. In 1976, Metcalfe helped develop the Xerox Star workstation, which was another early innovator in the personal computer market and incorporated Ethernet and software featuring text and graphics. In 1979, he departed from Xerox to found 3Com Corporation, which was integral in persuading much of the computer industry to accept Ethernet as the standard local area network (LAN). This page was last edited on 23 November 2017, at 06:50.